HTC is a company, and in line with the recent burninations of apple and microsoft I propose that we burninate it. Well, it sort-of describes the contents and it's mainly unambiguous (There is HTML Components, as Tieson T. mentioned, but that's a small minority of the questions and leaving htc for this would surely lead to abuse). The tag wiki just states that it is a company that makes telephones and which OS they run. Nothing programming related there. All in all, I think the 538 questions currently tagged htc can do without the tag. The htc tag is now burninated! Remember that we don't want to destroy value so let salvaging a post be your first priority! If you have specific questions feel free to drop in the SOCVR, or leave a comment under this post. 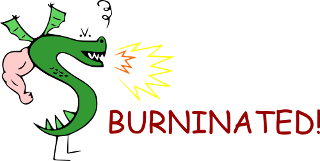 I support this burnination (burninate?). Android as a platform is largely oem-agnostic. It is very unlikely that we would need manufacturer specific tags. The only SDK that could warrant such a thing is HTC's OpenSense, which is designed for access to their specific hardware features that are not part of the base Android code (dual cameras, infrared, and integration with HTC Sense for instance). For questions regarding those, we can add htc-opensense if necessary (or something along those lines). Companies like HTC and Samsung roll their own flavor of Android. Job postings even list experience with specific manufacturers' flavor of Android as a desired skill. So I don't think we should burninate the HTC tag, because there very well could be specific HTC issues or features that a user might want to ask about. I think we're destroying value when we burninate this tag, or any manufacturer tag.